During Spring Break Book a Spa 1 Night Duet Pkg for just $289. Spring in the Ozarks - Explore Downtown! We would be honored to have you as our guests here at The 1905 Basin Park Hotel. 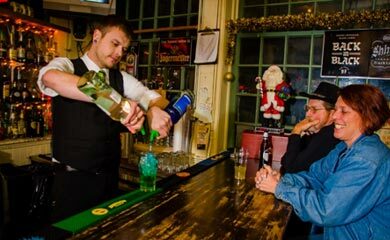 To entice you to come visit Eureka Springs and stay with us we have put together some fantastic packages offering great deals on lodging and other Eureka Springs activities guaranteed to make lifetime memories for you and your family to cherish and enjoy. 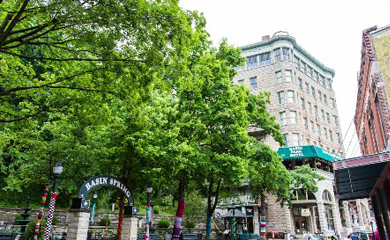 Celebrate a Birthday or Anniversary in a unique downtown setting at the historic 1905 Basin Park Hotel. Have a fun night away and enjoy 2 massages and a $50 Shopping Voucher. Ride the Best Trails in Mid America and experience Downtown Eureka Springs with the whole family. Take a night just for the ladies, rent the entire spa and catch up on the deck. All bikers can overnight in the heart of Downtown Eureka Springs where bars, restaurants, shops, and music surround every corner, while your most prized possession is covered and locked away for the night.